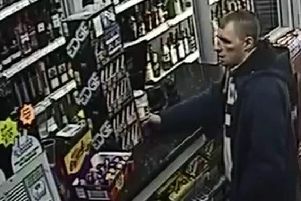 A booze-fuelled man has been ordered to pay £245 after he was caught by police being drunk and disorderly. Chesterfield magistrates’ court heard on Wednesday, April 18 how Lewis Mark Bryce-Ford, 26, of Loundes Road, Unstone, was found by police at Rye Crescent, Danesmoor, shouting at a group of people. Lyn Bickley, prosecuting, said police were called out on March 31 and found Bryce-Ford shouting at people as he was staggering around. Bryce-Ford pleaded guilty to being drunk and disorderly in a public place. The court heard he has previously received three fixed-penalties for being drunk-and-disorderly. Bryce-Ford said he has apologised to the people involved and he revealed he is seeking help for issues with alcohol and depression. Magistrates fined Bryce-Ford £130 and ordered him to pay £85 costs and a £30 victim surcharge.